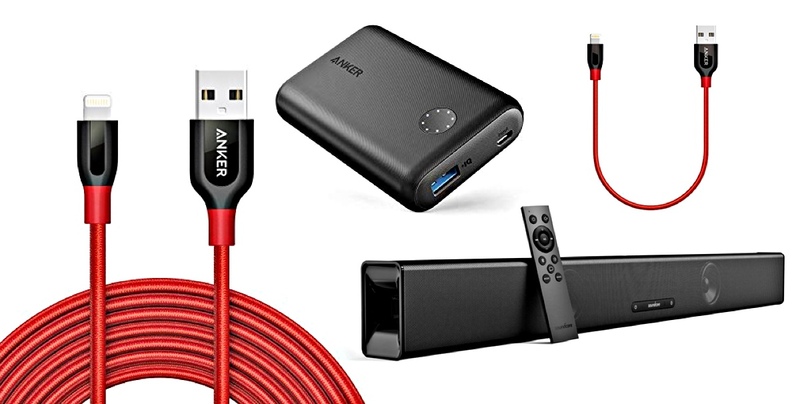 If you have ever purchased any accessories or tech-based products from online marketplaces like Amazon, then you will immediately be familiar with Anker as a company. They, like many others, manufacture and release excellent products across a diverse range of genres. And thanks to our partnership with them, we are able to bring some great discounts. As you will see below, we have split the deals out into high-level categories, which includes products listed under Cables, Battery and Speaker in order for you to easily and quickly see what’s available and the prices associated with them. Check out the deals for yourself and see what’s on offer and find something that you need in your life. If you need any cabling in your life, then you can take advantage of the PowerLine+ range below, available in all different sizes. Or, from a battery perspective, you can have the PowerCore 5000 with a 5,000 mAh internal battery. Or, if great audio is your thing, then the SoundCore Infini SoundBar is definitely worth a purchase with its sleek looks and powerful audio output. One thing that is important to note with these deals is they do have a limited period of time applied to them. That means that if the discounts are intriguing to you and you want to own any of this hardware listed above then you should really do it with immediate effect before the deals expire. Click on the link, make sure that you take notice of the discount code or whether or not a coupon is listed against the product, and get the purchase in your life, right now!